Due to mostly wet track conditions in both qualifying sessions on Thursday, held from 7 pm to 9 pm and from 10 pm until midnight, there were no improvements in lap times for the top cars compared to the first qualifying session from Wednesday night. 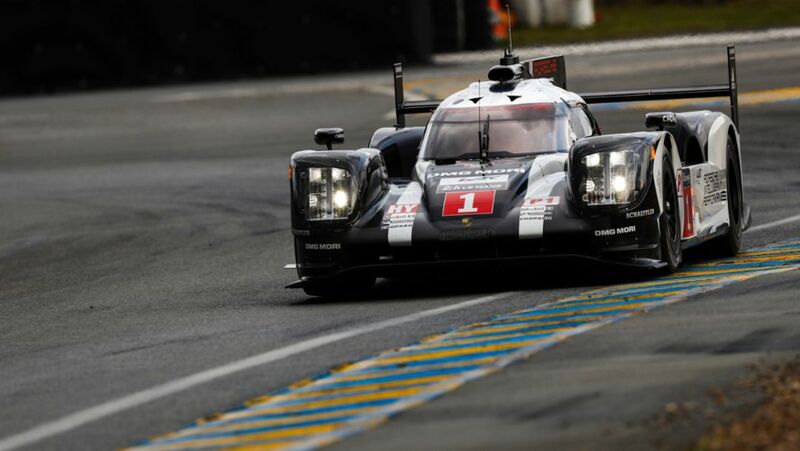 The unbeaten best time for the field of 60 cars was achieved by Neel Jani on Wednesday. The Swiss had lapped the 13.629 kilometre long circuit in 3:19.733 minutes. In difficult track conditions he stayed above his qualifying record of 3:16.887 minutes that he achieved in 2015 and that now remains for the current track layout of the Circuit des 24 Heures. Timo Bernhard (DE) managed the second fastest lap on Wednesday. The reigning World Champion had managed a lap in 3:20.203 minutes. This means a front row lock out for the same Porsche works drivers as in Le Mans 2015. In the history of the race, that is being run in 2016 for the 84th time, it is the 15th time that Porsche has achieved a one-two result in qualifying. Jani shares the 662 kW (900 PS) number 2 hybrid prototype with Romain Dumas (FR) and Marc Lieb (DE). Bernhard takes on what is known as the world’s hardest car race with partners Brendon Hartley (NZ) and Mark Webber (AU) in the number 1 sister car. 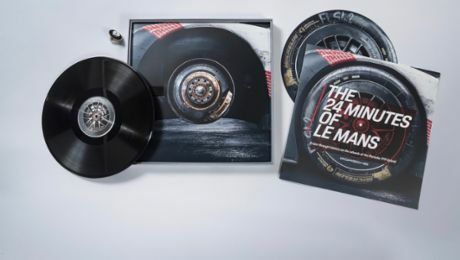 The anticipated hunt for pole position for the 24 Hours of Le Mans was a washout: Heavy rain during the second and third qualifying sessions prevented faster lap times, compared to the previous day with a dry first qualifying session on the 13.629-kilometre Circuit des 24 Heures. Like most of the 60 cars, the two GT-class Porsche Motorsport works-entry 911 RSR racers were unable to improve on their grid positions for the 84th running of the long distance classic in France. In the 911 RSR with the starting number 92, overall Le Mans winner Earl Bamber (New Zealand) and his teammates Frédéric Makowiecki (France) and Jörg Bergmeister (Germany) take up the prestigious race on Saturday at 15.00 hrs from the fourth GT grid row. Lining up on the row behind them is the #91 sister car, driven by outright Le Mans winner Nick Tandy (Great Britain) and Frenchmen Patrick Pilet and Kévin Estre. One of the few drivers who went out on this rainy night at exactly the right time was Patrick Long (USA). The Porsche factory pilot, who contests the GTE-Am class in the 911 RSR of the Abu Dhabi Proton Racing customer team with Khaled Al Qubaisi (Abu Dhabi) and David Heinemeier Hansson (Denmark), turned a perfect qualifying lap despite the difficult conditions. This catapulted his team from seventh to third. The best lap time for the field of 60 cars was achieved by Neel Jani on Wednesday night. Early into the session, the Swiss lapped the 13.629 kilometre long circuit in 3:19.733 minutes. He shares the (662 kW) 900 HP number 2 prototype with Romain Dumas (FR) and Marc Lieb (GER). Timo Bernhard (GER) achieved the second fastest time today in 3:20.203 minutes, he partners Brendon Hartley (NZ) and Mark Webber (AUS) in the number 1 sister car. In Le Mans three qualifying sessions are held with each of them lasting for two hours. The best lap time achieved in these six hours is the one that decides each car’s grid position. Because the weather conditions are currently tending to be changeable, it is not clear what Wednesday’s time sheets from the dry session may be worth in terms of grid positions. The session was red flagged for about 13 minutes, but not extended. It also saw frequent incidents and yellow flags, which made it difficult to find a clear lap. The best-placed Porsche 911 RSR with the starting number 92 posted the eighth quickest time in the GTE-Pro class. Sharing the cockpit of the winning racer from Weissach, which is based on the seventh generation of the iconic 911 sports car, are overall Le Mans winner Earl Bamber (New Zealand), Jörg Bergmeister (Germany) and Frédéric Makowiecki (France). The sister works-run 911 RSR (#91), with outright winner Nick Tandy (Great Britain) as well as Frenchmen Patrick Pilet and Kévin Estre at the wheel, clocked the tenth fastest time at the first show of strength on the 13.629-kilometre Circuit des 24 Heures. Live communication from the pit on Twitter: @Porsche_Team. At https://presse.porsche.de/motorsport the new Porsche Motorsport Media Guide is available. Videos can be found on the Porsche channels on Vimeo and YouTube. www.newsroom.porsche.com bundles the latest press releases and background information and is accessible without registration. The official WEC App can be downloaded free of charge in its basic version and can be extended (not free of charge) by a live stream. Several live features, such as on-board cameras, timing and GPS tracking, are implemented in the Porsche Motorsport App (free of charge). On the Web current information is available from www.fiawec.com an www.24h-lemans.com. Further interesting information about Porsche Motorsport waits at Porsche.com/FutureSportscar.